The process of getting to Colombia was more complicated than she anticipated, making for an initial arduous journey. She found she had to deal with some negative stereotypes her classmates held of Americans, of which she was eventually able to overcome by obtaining their trust and respect. 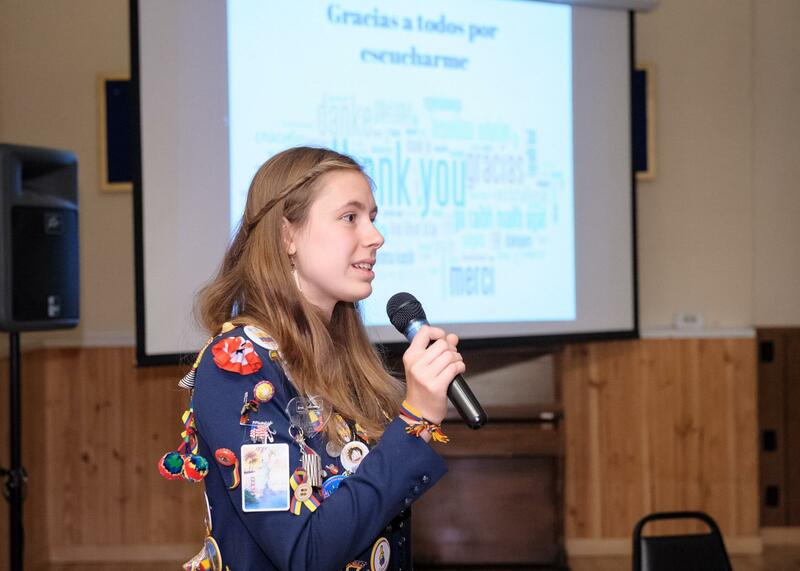 She initially found it challenging navigating through the differences in culture and the educational system, complicated by her initial rudimentary grasp of the language, which improved dramatically with her total immersion. In spite of the challenges, which were mitigated by great host families, she ended up thoroughly enjoying her stay and was able to do a great deal of traveling around the country. 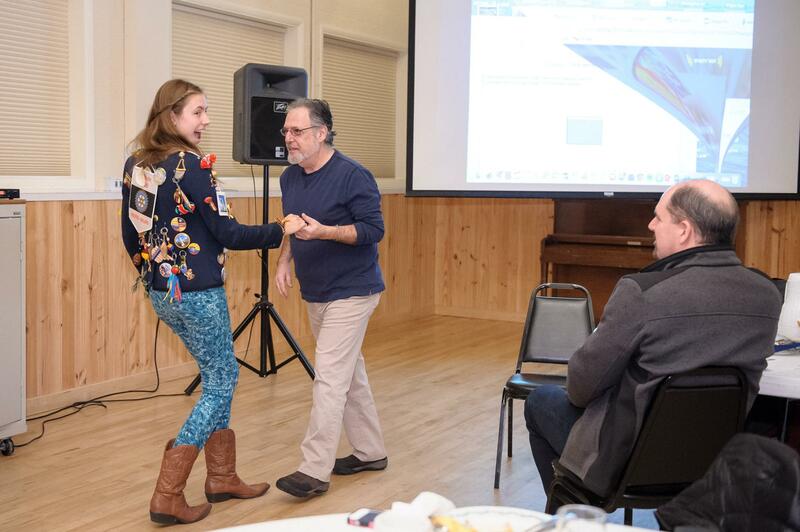 Emma demonstrates Salsa dancing with club member Leo Fried.